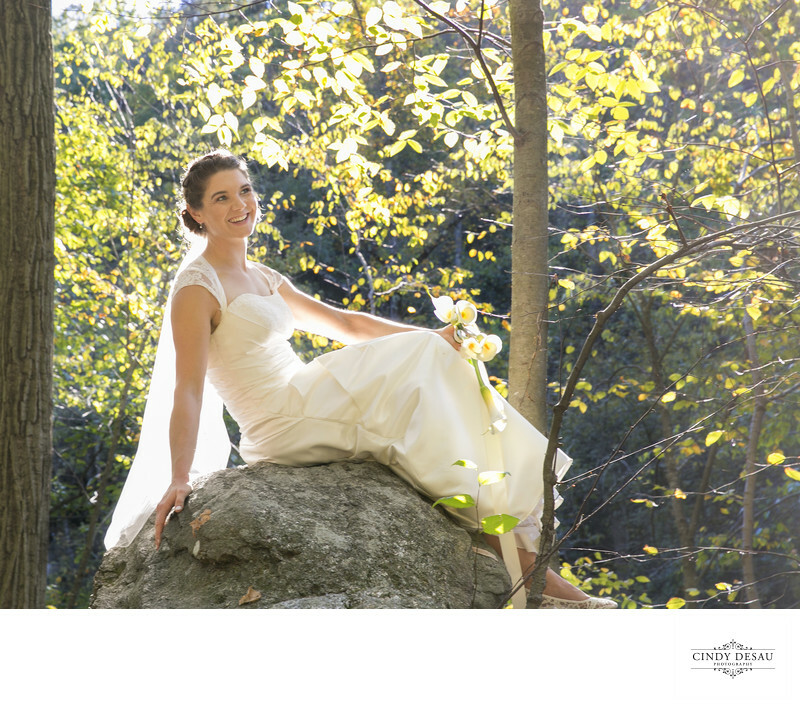 How many brides would climb onto a huge boulder in their wedding dress? In my many years of photographing weddings I would say not many. This bride loved rock climbing. It was a hobby this bride and groom did often. She did wear flat bridal shoes to accomplish this feat. I think this bride looks so happy as she went rock climbing and had such a great view of Fairmount Park on her wedding day. Location: Valley Green Road, Philadelphia, Pennsylvania 19128.